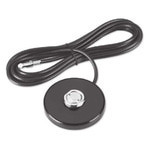 Magnet Mount - Black - Talley Inc.
Black Magnetic Mount W/12' RG58/U, Teflon PL259 Conn. 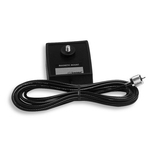 The MGAS mount is designed to accept a standard NMO type antenna with 12ft of RG58A/U cable. 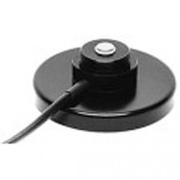 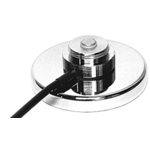 The MGZS mount is designed to accept a standard NMO type antenna with 12ft of MicroLoss 900 cable.The MG series mounts are magnet mounts 3 1/8 in diameter. 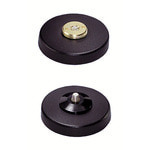 They have a high pull strength magnet with an ABS cover and mylar pad to prevent surface scratches. 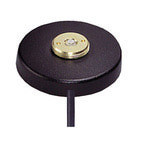 The connectors on the top of the mount are all standard female type. 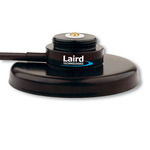 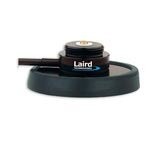 The mounts are supplied with 12' RG58A/U coax and choice of connectors on the end of the cable.